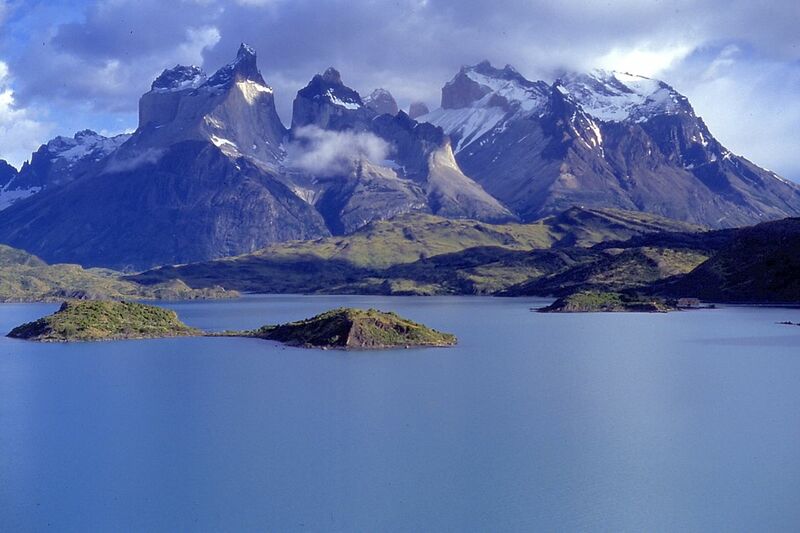 Today’s entry covers a diversity of topics from Argentina, Chile and Uruguay. For some time, critics have called out the administration of Argentine president Cristina Fernández de Kirchner for meddling in the state statistics bureau INDEC to make inflation figures less alarming than private economists believe they are. Now, across the River Plate, tourism operators in Punta del Este are questioning whether the Uruguayan government is exaggerating the arrivals of visitors – many of them Argentines – in the peak summer season. For more than half a century now, the United States has enforced a political and economic embargo that keeps US companies from trading with Cuba, and vice versa, and restricts US citizens’ right to travel to the island. The strictness of the embargo has varied from time to time, but it’s hard to call it a success. In fact, it’s probably helped keep Fidel Castro and his brother Raúl in power. 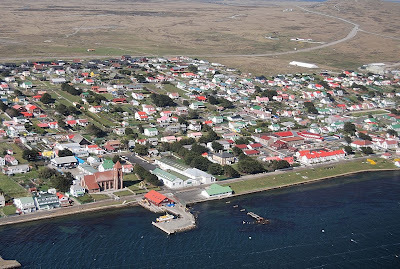 Despite that example, Argentina seems determined to enforce an embargo of its own as the 30th anniversary of the Falkland Islands War, instigated by the military dictatorship of General Leopoldo Galtieri, approaches on April 2. 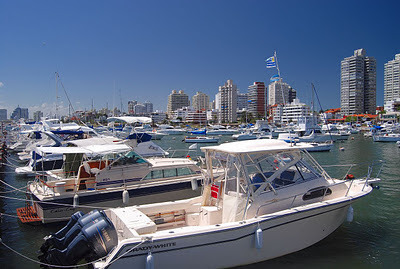 President Fernández’s government has lobbied other South American governments to keep Falklands-flagged vessels from visiting mainland ports, primarily in Chile and Uruguay. It has also threatened to cut the air link between the Falklands (pictured above; Argentines, of course, know them as the Malvinas) and Punta Arenas (Chile). LAN Airlines flights from Punta Arenas cannot avoid flying over Argentine air space. I have no intention here of arguing the rights or wrongs of Argentina’s claim, which can become a black hole of intemperate rhetoric (for a truly sardonic analysis, read James Neilson’s recent column from the Buenos Aires Herald). What I would suggest is that, as with Cuba, blockades can create their own blowback, and reinforce the determination of those against whom they are directed. I’m not planning any more full-scale post-fire updates on Torres del Paine, but it’s worth mentioning that the luxury Explora chain has announced that its Hotel Salto Chico will reopen on February 23. Located where the Río Paine drains Lago Pehoé, this “hotel with a view” suffered no direct harm from the fire, but some of its custom furnishings, coming from around the world, suffered smoke damage. Given the level of service to which it aspires, it’s not surprising the Salto Chico would postpone its reopening, and that February 23 date might as well mark the park’s own definitive return. That leaves at least a good two months to enjoy the best Paine has to offer this summer, but for a few trail segments still closed to the public. If you have found this article informative and/or useful, please consider clicking on one or more of the AdSense links here - always presuming that it's a product or service that interests you. And while you're at it, watch Dame Judi Dench's invitation to Visit Britain in the sidebar video.